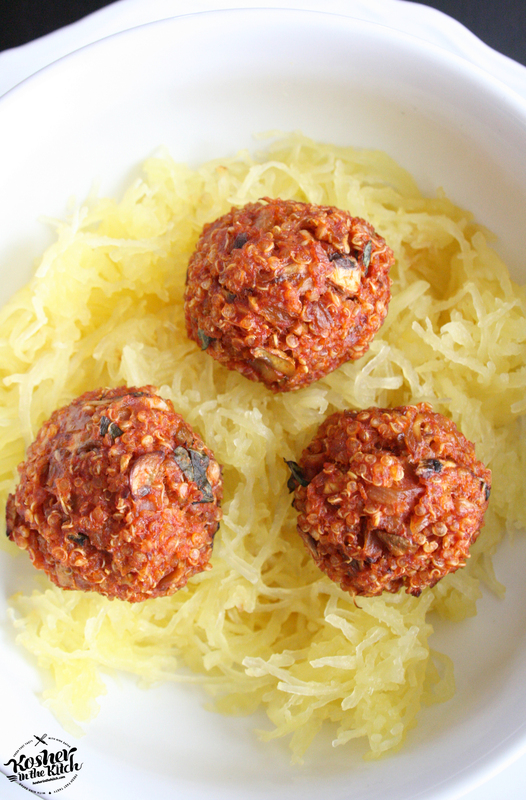 Quinoa Meatballs - Kosher In The Kitch! 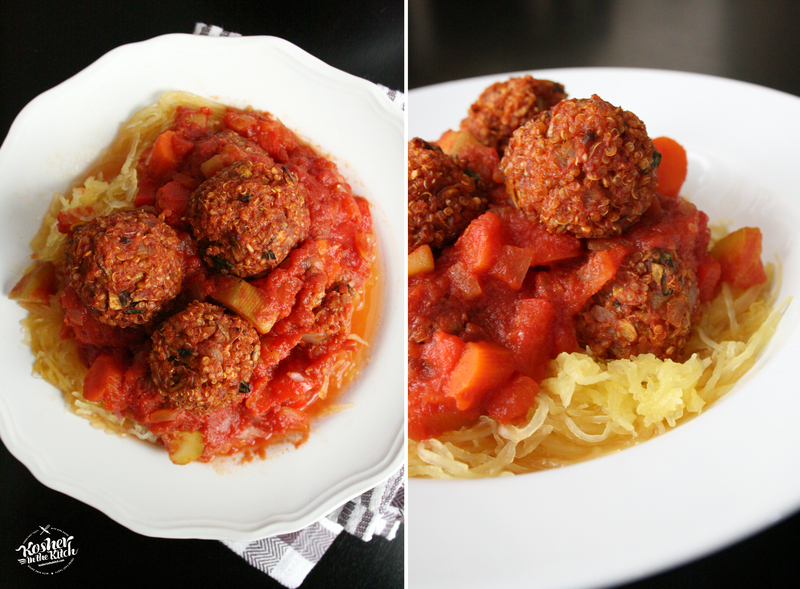 Quinoa Meatballs - Kosher In The Kitch! 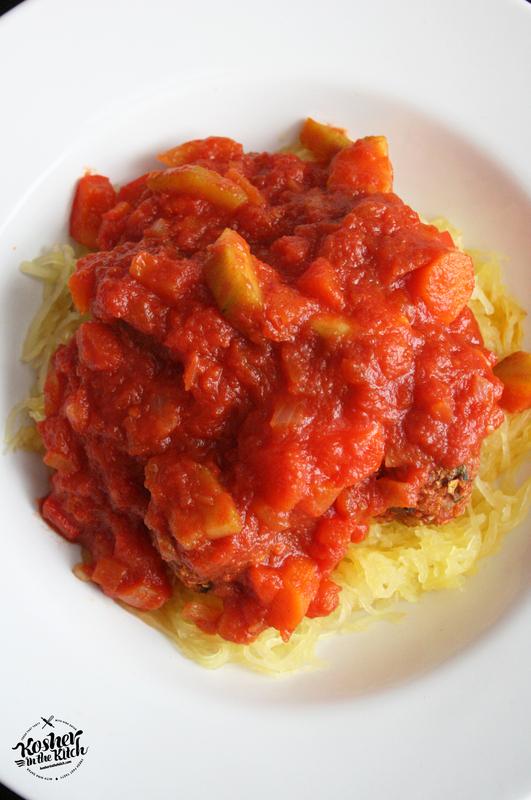 This is a great recipe for Meatless Monday! I also included it in the Passover section since many people eat Quinoa on the holiday. Please note, that not everyone eats Quinoa on Passover and you should consult your Rabbi before deciding what your customs will be for the holiday. 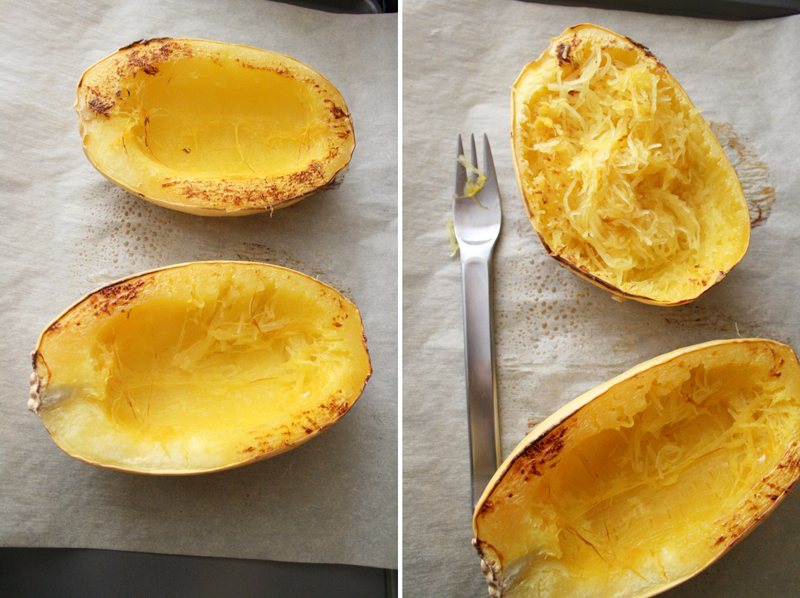 Cut the spaghetti squash down the middle, lengthwise. 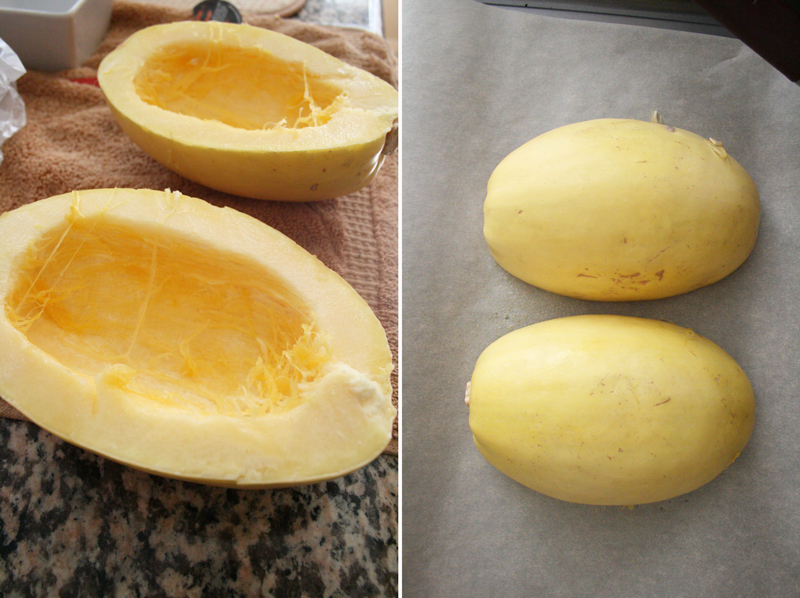 Remove the seeds and bake face down on a lightly greased baking sheet for 40 minutes until very soft. Allow to cool off then shred the insides with a fork. Set aside. Saute onions and garlic in a large frying pan with 1 tablespoon olive oil. Cook until slightly browned. Add mushrooms, salt and pepper and cook until mushrooms are soft and tender. Remove from heat and combine with cooked quinoa. Add 1 can of tomato paste and basil and mix well. Using wet hands, Roll into small balls and place on baking sheet lined with parchment paper that has been lightly greased. Wet with egg wash then place in oven on 400′ for 20-25 minutes until firm. Meanwhile, prepare sauce by sauteing onions until golden then adding the zucchini, carrots, red pepper and cook until slightly tender and fragrant. Add 1 can of tomato paste, and the crushed tomatoes. Add the sugar and mix well. Season with salt, pepper, paprika. Cook for about 30 minutes or longer, until veggies are soft. 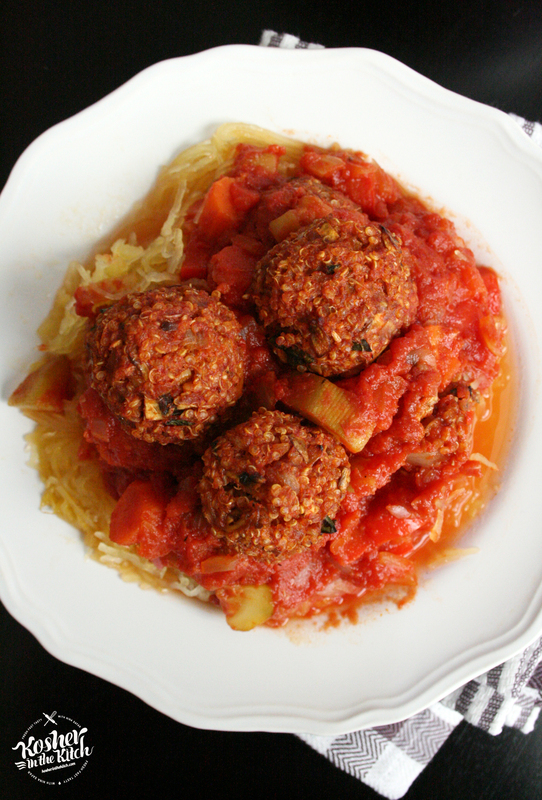 Serve the quinoa meatballs over the cooked spaghetti squash with meatball sauce. 1) How many meatballs does this recipe make? 2) Can the recipe be doubled? 3) Can they be made ahead of time and frozen? 4) Would it work with a sweet and sour sauce? Thanks! 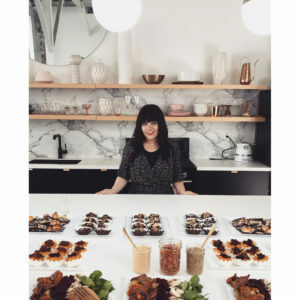 Forget about Pesach! I’m a vegetarean so this is a dream come true. I’m going to try this for supper this week! 3. I never freeze my food, so I am not sure but if you try it out please let me know how they taste once defrosted! 4. The great thing about quinoa is it goes well with almost everything! I would definitely try it out with a sweet and sour sauce. Let me know how it tastes! 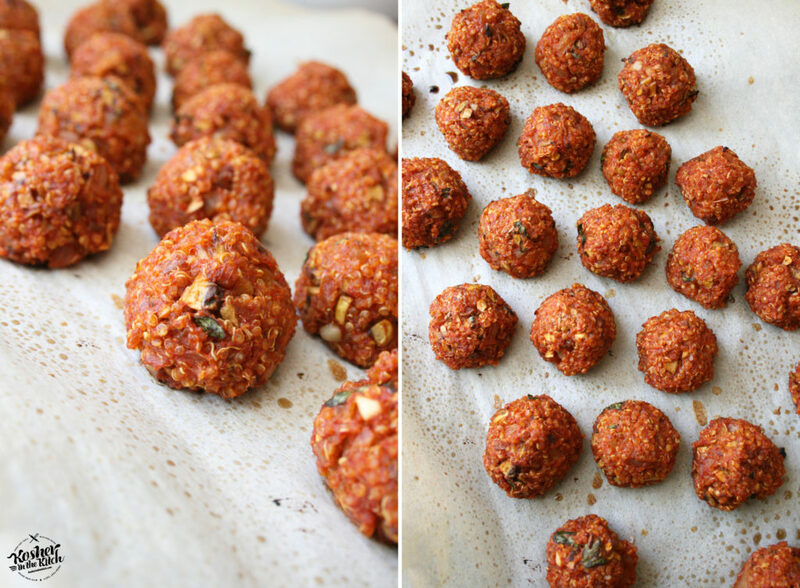 Sharon, I originally made them for Meatless Monday but since Passover is coming up, thought I would suggest it for the holiday as well! I made this recipe and it was wonderful. Since I did not have spaghetti squash on hand, I did have a rice flour pasta on hand and I used that with the balls. It was yummy. Did anyone make this? also, how much tomato paste? how many balls does it make? Thanks! Thus is a response to the question about freezing. I made this recipe two Passovers in a row, doubled successfully each time. Both years the little meatless balls defrosted and reheated perfectly. FYI—The Second year, I reduced the amount of tomato paste to about 1/3 of a can. I just found the flavor too strong, though not one of my guests complained! 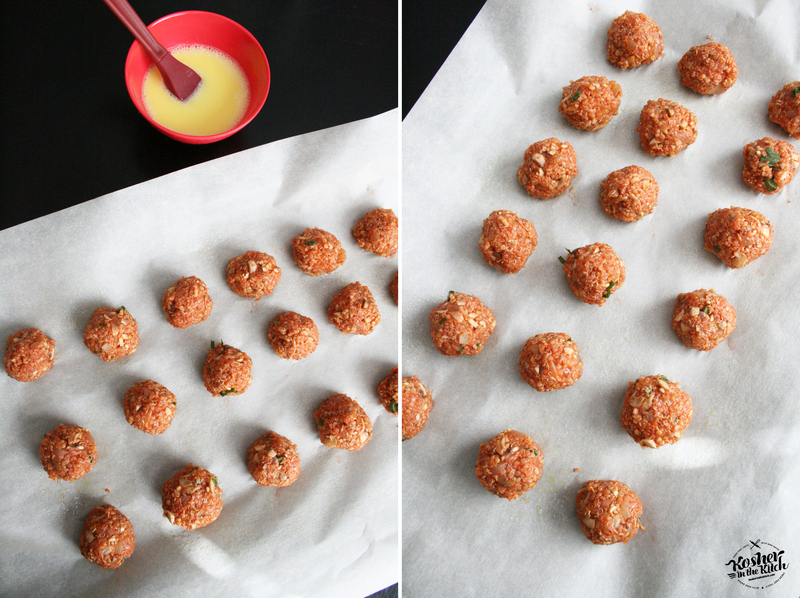 I also rolled the raw balls in Passover panko crumbs to add a bit more structure and texture. It’s a great recipe. Enjoy!!!! !